Although a ubiquitous term, the acronym CSV has varied meanings depending on who you ask. In the data space, CSV often translates to comma-separated values – a machine-readable data format used to store tabular data in plain text. To many, the format represents simplicity, interoperability, compactness, hackability, among other things. From when it first launched in July 2014 as a conference for data makers everywhere, csv,conf adopted the comma-separated-values format in its branding metaphorically. Needless to say, as a data conference that brings together people from different disciplines and domains, conversations and anecdotes shared at csv,conf are not limited to the CSV file format. On May 8-9, 2019, the fourth version of csv,conf is set to take place at Eliot Center in Portland, Oregon. Over two days, attendees will have the opportunity to hear about ongoing work, share skills, exchange ideas (and stickers!) and kickstart collaborations. You are welcome to submit session proposals for our 25-minute talk slots between now and end of day, February 9, 2019. 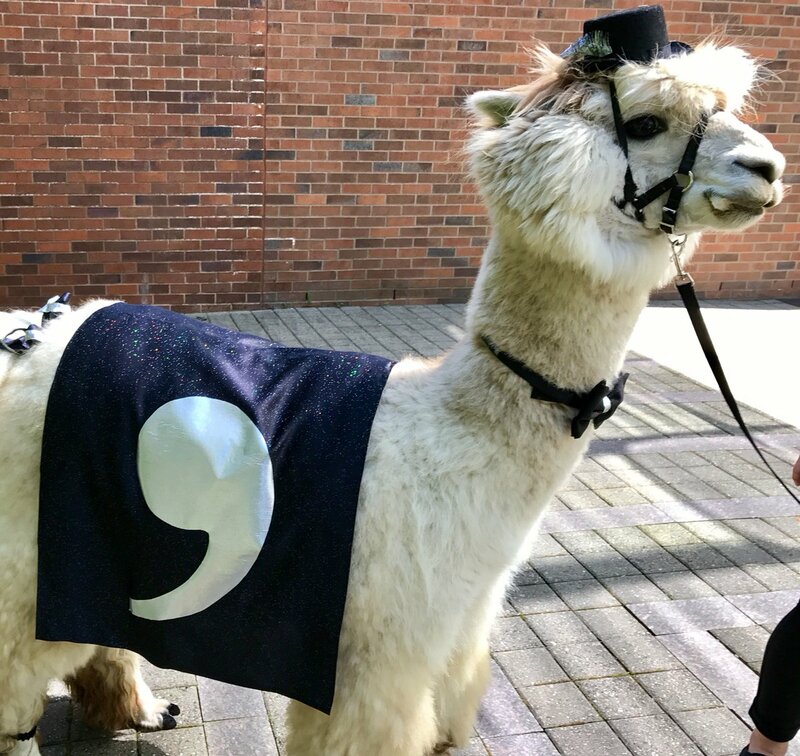 The commallama has now become a big and fun part of csv,conf. How did we settle on this llama? What is its significance? Is it even a llama? We hear your questions, and implore you to join us in Portland on May 8 and 9 to meet the commallama and find out! We are keen on getting as many people as possible to csv,conf,v4, and will award travel grants to subsidize travel and associated costs for interested parties that lack the resources and support to get them to Portland. To that end, we have set up our honor-system, conference ticketing page on Eventbrite. We encourage you to get your conference tickets as soon as possible, keeping in mind that as a non-profit and community-run conference, proceeds from ticket sales will help cover our catering and venue costs in addition to offering travel support for speakers and attendees where needed. From the first three conferences held in the last four years, csv,conf brought together over 500 participants from over 30 countries. And 300+ talks spanning over 180 hours have been presented, packaged and shared on our YouTube channel. Many post-conference narratives and think pieces, as well as interdisciplinary collaborations have also surfaced from previous conferences. This is only part of the story, and we can’t wait to see and hear from you in Portland in May, and are excited for all that awaits! The UC3 team is part of the conference committee and happy to answer any questions you may have. Feel free to reach out to us at uc3@ucop.edu or to the full committee at csv-conf-coord@googlegroups.com.